A premium quality Tekuno Shinro straight scissor in 6.5' (165mm) length. This Japanese influenced scissor is especially designed for very fine finishing, with a straight convex blade and forged finger rest. The balance, smooth action and finish has to be tried to be believed. the finest Japanese high carbon steel with a ball-bearing pivot mechanism for the smoothest action. Top quality for a fraction of the expected selling price. 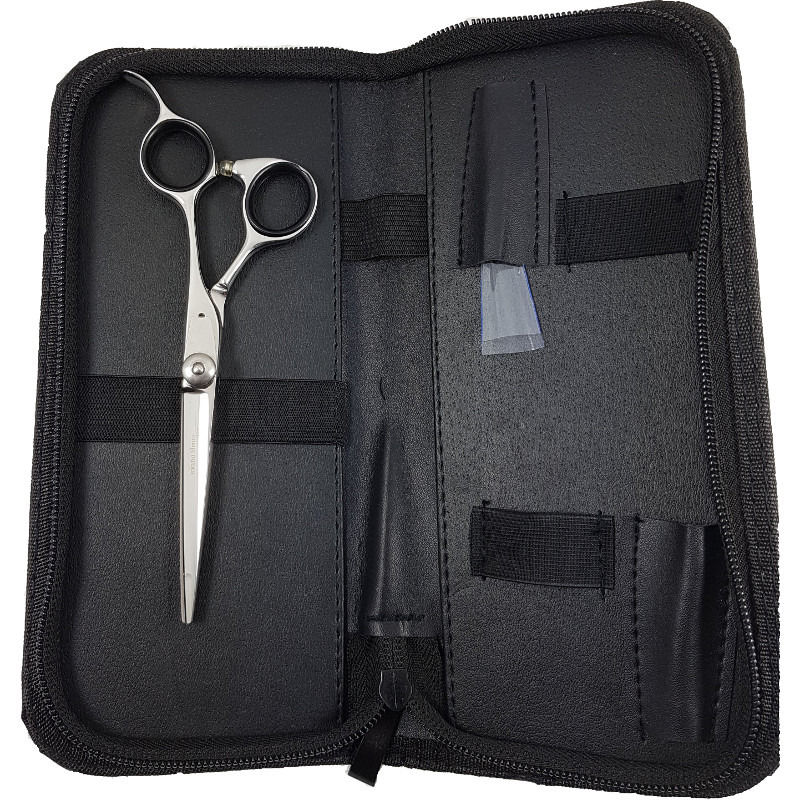 This Scissor is for the discerning groomer looking for a fine finishing scissor for precise salon or competition use. It is also useful for precise finishing of show dogs for the advanced exhibitor. 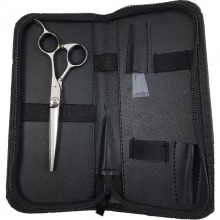 This scissor is presented in a quality scissor/display case to ensure that it can be stored safely. This is really is a great scissor to give a great finish.